Evening came with the singing of insects, every little voice chirping and wanting to be heard. Kelly was at home with a bottle of wine and this was a sweet relief. There was sanctity in it. This was one thing you could have faith in. People let you down. They were annoying. But wine was a good friend, at least for awhile, at least while you were drinking it. She went ritualistically to the store. They all knew her there, or so she felt. When she craved a bottle of wine she would slink shamefully to the back, the old black cashiers seeming to be watching her, judging her. She called it the judgmental Kroger in her head. She would think, "I dont want to go to the judgmental Kroger." Sometimes she would go to the trouble to go a little farther, to the other grocery store, where no one seemed to care if she came in and bought wine late at night. That was what she was- what she had become. A late night wine-o. Kelly had a pretty face, or the potential for one, but the drinking had made her slightly overweight. Her normally sharp features were blurred and obscured, almost soft looking. She was tall, with unnaturally blonde hair, pale, skin, and light blue eyes. She was gaining weight rapidly around her once small hips. Going to get the bottle she was nervous, antsy. It was kind of like a terrible itch that came under her skin, a great restlessness. She did not want to sleep when the dark of the night came upon her. She felt the need to do, to be, to create. And all this creation, this celebration, seemed to be magically encapsulated in a bottle of wine, a party in a bottle. Suddenly, drinking her first glass, her restlessness, bitterness, dispiritedness, began to fade away as a rosy glow fell over her. She was happy. She loved everyone. She would sit and watch TV in a sort of foggy bliss, eating something to counteract the acrid, distasteful flavor of the wine. She wasnt drinking it for the flavor, oh no. She was drinking it for the high. And high she became- so high indeed, until she came, unavoidably, crashing down again. On this night she had found a special bottle of wine- one in the back corner of the store. Her Kroger had an unusually good selection of wines, anything you could dream of, and even a special, pricey, sectioned off room that someone had to open for you with a key. But Kelly never bought the expensive wines. She went straight for the cheap stuff and picked her wine on a whim, in a serendipitous fashion. On this night she was scouting around for a bottle that might have a fascinating name, or that might taste a little better than the others. Her eye was somehow caught by a darkish, dusty bottle in the back of one of the shelves. It was behind another bottle shed been looking at called "Pink Pig." But the name of the bottle that captured her attention was written in a fancy, flowery script and simply said, "Drink Me." This label with its inscription was the only thing on the bottle, besides a price tag on the bottom that said $5.00. At such a good price, and with such an intriguing name, Kelly figured shed buy the bottle, even if it turned out to be old and rancid. She dusted it off and carried it to the counter. She was determined to imbibe it, whether she liked it or not. At the counter she saw a familiar late night cashier, an older black gentleman, clearly gay, with a very dignified bearing, almost like some old time English butler. He looked at her with his judgmental eyes and did not ID her. He knew her. She was glad when the incident was over and she felt the familiar relief of a weight lifted when the bottle was in her car and she was on the way home. Mission accomplished. Coming home, she immediately, impatiently went into her kitchen to open the bottle. The cork was made of real cork, and when she had popped it out the wine smelled strangely good, bittersweet, almost a sentimental smell. She could picture old vineyards when she smelled it. She was surprised because she never liked the wines she bought, and excited because she realized she must have stumbled upon some treasure. Tonight she was going to enjoy the flavor of the wine, not just the buzz. Pouring her first very full glass, she sat down before the TV, ready to zone out and reach towards oblivion. The glasses of wine were delicious to her, and her buzz was fabulous. Kelly could hardly believe it. Each glass went down so sweetly, so easily, and with each glass she seemed to feel better, brighter, as the colors in the room began to swim, and her cheeks got red. She spilled little drops of the wine on the table and lazily wiped them up. Before long she had drunk nearly the whole bottle. She looked upon her last glass almost with sadness. At this point in her drunkenness she had gotten hungry and popped a large bowl of popcorn which she ate in handfuls as she savored her last glass of the wonderful wine before finally sitting there in a drunken stupor, staring at the empty bottle, every drop gone. She almost wished there was more. Suddenly, to her horror, a black smoke or fog began to seep out of the bottle. It flowed murkily out down the bottles side and onto the table. Was she hallucinating? Was the wine shed bought really rancid poison? It had tasted so good! Perhaps it had been some sort of absinthe that somehow or other got mixed in with the wines, maybe someones sick idea of a joke. She was so drunk though that she couldnt feel too alarmed. She watched the seeping black smoke with a bemused fascination- it was so thick and strangely beautiful in a way, almost hypnotic. She stared as it seeped towards her on the couch. Then strangely, the smoke seemed to be making a figure, or a figure began to appear in the smoke, and suddenly there was a sprightly little bald man with red cheeks sitting beside her, smiling. He looked drunk too. Kelly stood before him, her eyes goggling. "Who, who are you?" she managed to gasp. "I, little lady am the wine spirit, the gin of gins, or the spirit of spirits, if you like," he said, chuckling at his own corny joke. "But what are you doing here? Where did you come from?" "You found me, my dear," he said. "Now come, dont look so alarmed." Despite the utter strangeness of the situation, and the fact that Kelly knew she may very well have lost her mind, the alcohol coursing through her made her calmer and she slouched down next to him, smiling. "Well, I wasnt expecting a visitor," she said, "but make yourself at home." If this was a sick, insane dream, she was going to play along with it. Might as well. "Only the most dedicated drinkers find the wine spirit," he said, as though congratulating her. "I wish there were more," she pouted, staring woefully at the empty bottle. "Why, but there is!" he said, winking at her jovially. Then suddenly wine shot out of his index finger as though from a spigot and refilled the bottle to the brim. Kelley clapped her hands with glee. "More wine! You made more!" "And theres more where that came from," he said proudly. Kelley then knew she loved the wine spirit. At that moment he was her best friend in the world. It vaguely occurred to her that the little man himself was drunk, with his rosy cheeks, his shiny head, and his bushy gray eyebrows. He was dressed smartly, in a crisp white shirt with a little beige vest over it and perfect beige trousers to match. His little black shoes shone. 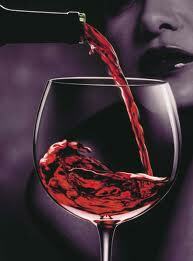 Yes, she decided as she poured herself another full glass of wine- she liked him very much. This was a wonderful night indeed. When the morning came the neighbors found Kelly in the yard, wine stains on her lips, clutching the empty bottle in her hand. She had soiled herself. They felt her pulse. She was dead. A smile of absolute contentment was on her lips.